Realism is a form of writing that attempts to tell a story without coloring the topic with emotions. Truthful writing is what separates realism from other types of writing such as the romantic type of writing that was prevalent before the Civil War. Naturalism is a form of writing that is based on realism. One of the main distinctions is that naturalism is the way of writing that doesn't focus on individuality. Often more political in character, naturalist writing almost always tells a tale where the individual is at the mercy of a larger force. Writing that is written in the style of realism is focused on telling the story in plain, everyday language. Rarely is a realist story about a person facing extreme circumstances. Most readers of realist works can identify with the characters in the stories. An identifying quality of realism is the factual speech of the characters. Where the person is from and their station in life reveals the type of speech they have. The dialect of each character is one of the most revealing factors of realist writing. Naturalism has a style that is often described as grim and depressing. The Jungle is a classic piece of naturalist writing that tells the tale of poor, working class people struggling in the meat-packing industry of Chicago. This story is a good example of how naturalism takes on a more extraordinary topic than the realism style of writing and how it places a political twist on it. 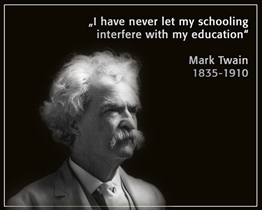 Mark Twain is perhaps the most famous author of realist works in America. He wrote about small town people and their daily existence. Nothing earth-shattering, but wonderful storytelling that was written in the language of the day about normal, simple folk. Henry James and William Dean Howells are two other writers of realism. 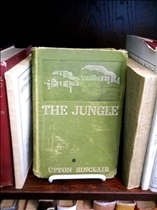 Written in the style of a shock jock, stories like The Jungle, by Upton Sinclair were hugely popular because they pitted normal everyday people into situations that typical middle-class people would not experience. Stephen Crane and Frank Norris are other popular authors of the Naturalist genre. The individuals you find in works of realism are often optimistic people who are not world leaders, but are typically thought to be middle class society. These people in realism tales are in charge of their own destiny and while not every story ends with a victory, the story is not nearly as pessimistic or depressing as naturalism tales are. Naturalist stories are often filled with characters that are poor, uneducated, and lower class people who seemingly have no free will or choice in their circumstances. It's no wonder that realism became a popular writing style of the Civil War era; the romantic writings that were popular up to that point were sentimental and pandering. Literature that tugged at your heartstrings was thrown to the side as popular stories of real people in real situations took hold of the American literary landscape. American authors were looking for their own voice, and realism was its first uttering. Naturalism was the next influential style of writing that was not only based in realism, but also found a voice that could expound the virtues of the common man at odds with a capitalist economy. Many literary experts claim naturalism is just a pessimistic view of realism; it is fundamentally its own style of writing. Which style of writing is more interesting? Fact vs. Fiction: What is the difference? Positive Thinking vs. Negative Thinking: What's on Your Mind? MBA vs. CFA: Does Your Postgraduate Work Shine?